The empath's guide: From My Correspondence: I can't feel anything, can you help? If you are a man, this could be for you too! From My Correspondence: I can't feel anything, can you help? If you are a man, this could be for you too! Please help me if at all possible. I know I have some emotional blocks somewhere that I can't clear up on my own. I have tried and for some reason I just can't do it. An Empath that has connected to me can help open up whatever gates that are closed and I can FEEL things again. I don't know exactly what is going on, but I know on a certain level that an empath is what I need to be able to feel alive again. I'm tired of my emotions being on autopilot and just feeling neutralness all of the time. The only real feelings I can feel at times is being neutral (to an extent), anger, and kinda sadness. Where is that feeling of love, of pure selflessness, understanding and devotion that I want to feel again? For some reason, I can only feel those things when I am connected to an Empath. I know exactly what you feel... pun intended. It's never that you don't feel, it's that there is a buffer between you and your feelings. It is snowing and raining at the moment past my window. I can see it. If I make an effort, I can imagine what it would feel like standing in that cold wetness... but I really don't feel anything. It is the same with non-feelers. I remember sitting on the toilet, my feet dangling, wondering how other people know they had to pee... or that they were hungry or thirsty. I didn't know. At best I found myself on the toilet. At worst I found myself with wet underwear. 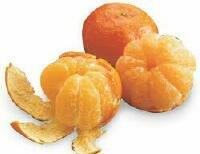 I was seriously underweight, and dehydrated all the time. I felt nothing. I can only speculate, because, of course, I wasn't observing myself at the time. I was busy being a child, finding my way in the world. But I can speculate: I had my wires crossed and overwhelmed, so I shut down. My mom didn't want to have me, but she did. So our relationship was a mirror of her inner struggle: natural dislike and human decency. If you have ever had that inner struggle, I don't envy you. As an empath 1 you feel the emotions that your mother did not express, and at the same time you feel or see their fake smile... very confusing. You can be empathic, with strong sense of another's feeling, but not a true empath 2 you could feel the gap between what is shown and what isn't, and it didn't even have to do anything with you. People fake all the time, especially they fake well-being, joy, happiness, etc. To shut down the confusing ambiguity, many people shut down. A few go schizophrenic. It could have been that you were subjected to abuse that set you up with a dilemma: tell or not tell. Whether you told or not, whether the reaction was positive or blaming, it could have been confusing. In certain societies, if you are a woman, you are automatically to blame. Irish (Catholic? ), Moslim, women are secondary citizens with no personal rights. Definitely not what you are asking for. That is giving away your power. You want to become normal again. The methodology I propose is the following: instead of wanting to feel everything again, and get overwhelmed, start with what you can feel. The methodology is called the "ball of yarn method." You find an end that you can see. Hunger, anger, fear, impatience, frustration. Any of those. Here comes the hard part. Say "Welcome" to the feeling. Stay present. Get curious. Observe it without having to do anything about it, as long as you can. Increase your capacity to stay with any feeling without reacting to it. Do it with every feeling you can feel. Do it every time you can afford to do it. DO NOT EXPECT OTHERS TO CHANGE! DO NOT EXPECT THE FEELINGS TO CHANGE! You will start to feel more and more. It will get released, or unblocked by your ego only as fast as you can handle it. In the meantime, come to the connection classes. We have tools there that will support you. You have suppressed the negative feelings. But you can't just suppress one thing: you suppress one, you suppress all... Once you allow your negative feelings to be, without flinching or blinking or acting, your positive feelings will start to come up. Don't act on them either... feelings are feelings: all valuable. Love all your feelings like a good mother loves all her children. It's all good. 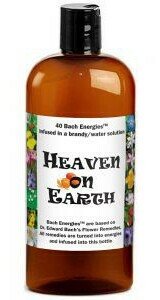 And get your Heaven on Earth Bach Flower Energies in a bottle (all the Bach Flower Remedies in energy format). It will accelerate the process. But it will not eliminate it. You are born an empath, if you are an empath. Empaths are not made, though can be developed from a crude instrument to a fine one... so far I am failing with my empath training, by the way. The difference is very big. having a strong sense or actually feeling is like looking at an apple anticipating its juiciness and biting into the apple... big difference. Previous Previous post: Design Contest? Can you help?